The 100% S2s fit nicely on narrower faces while still providing excellent coverage. 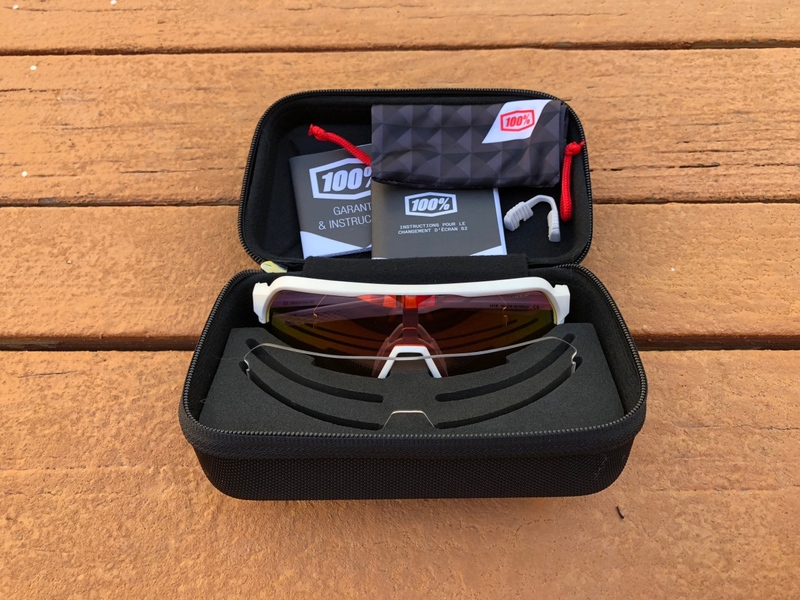 The 100% S2 is a half frame sunglasses offering that fits a smaller face, while still providing excellent coverage and fantastic optics. 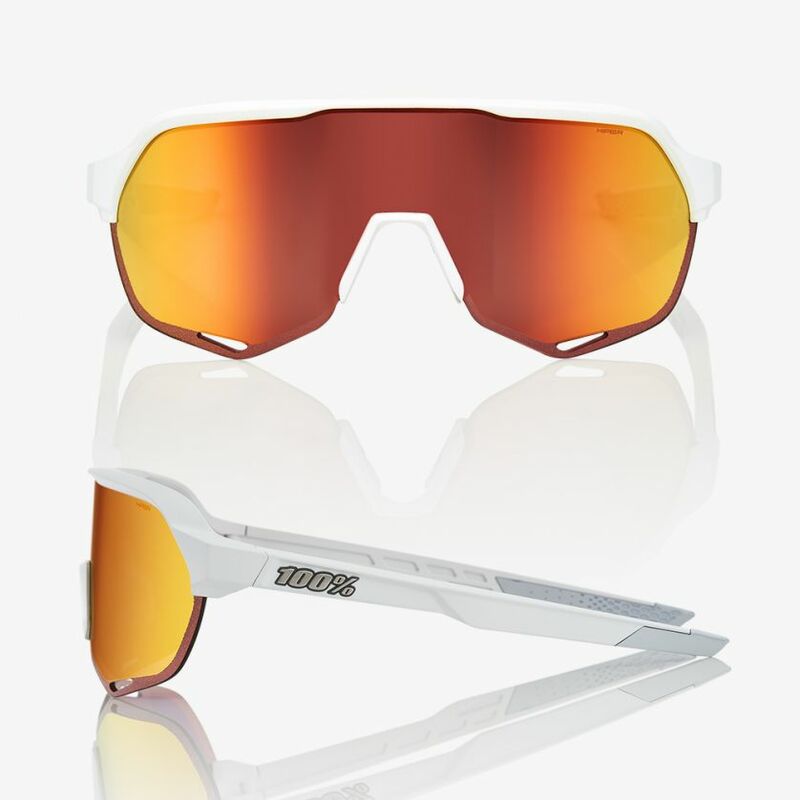 The pair reviewed here are the Soft Tact Off White frame with HiPER Red Multilayer Mirror lens. 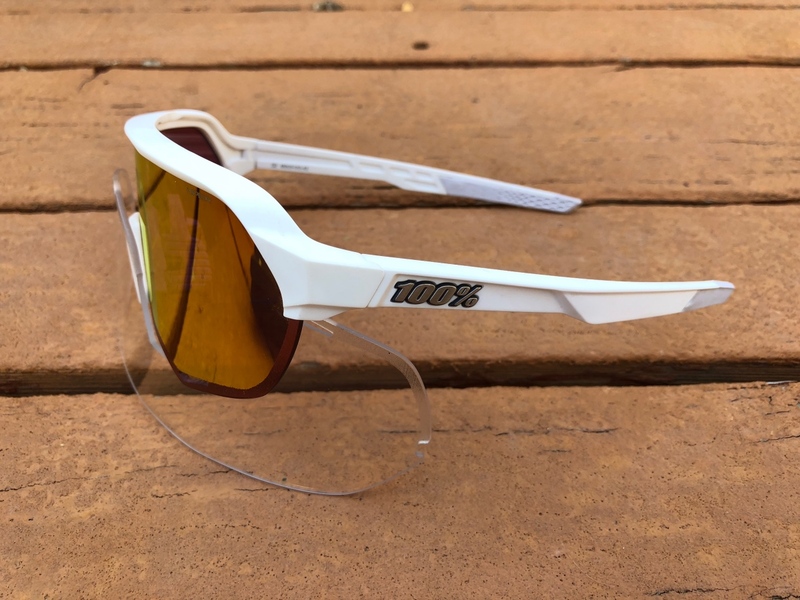 They retail for $195 and arrive in a nice case that contains the glasses, a wipe, a clear lens, and a nosepiece that provides additional standoff from the face. Other features include a cylindrical shield that offers an unobstructed view, HYDROILO lens coating that repels oil and water, and ultra-grip rubber nose and temple tips. 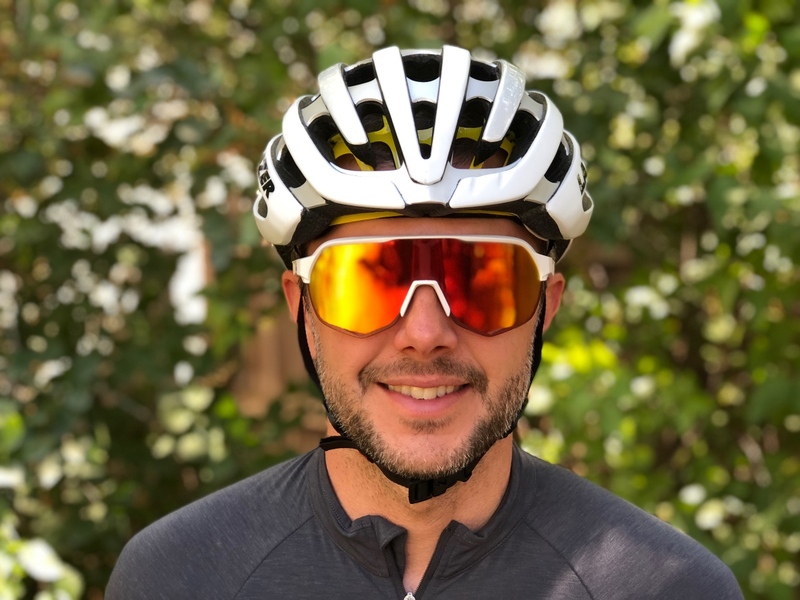 Many modern cycling sunglasses are far too large for my tastes. While they certainly provide protection for your eyes, they can often appear to overwhelm smaller faces like mine. 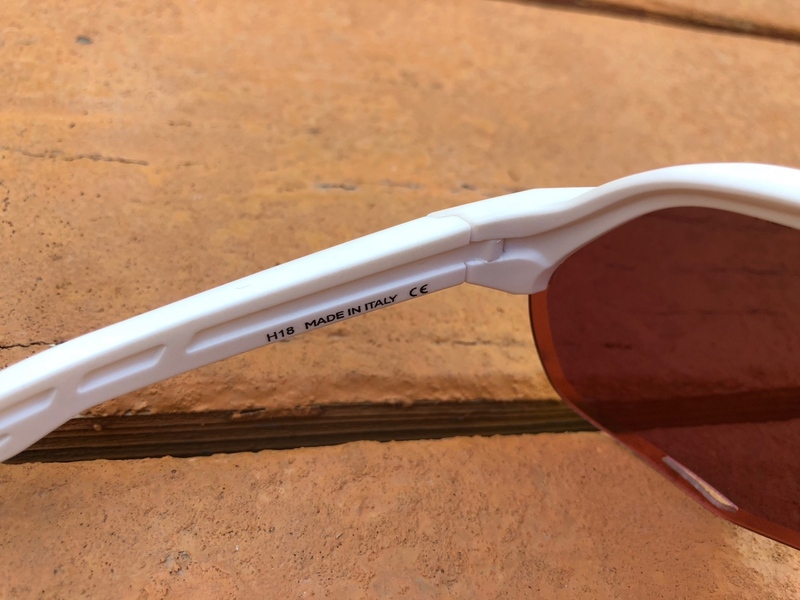 When you’re spending the money on quality sunglasses, you want them to look good and perform well. That’s where the 100% S2 comes in. 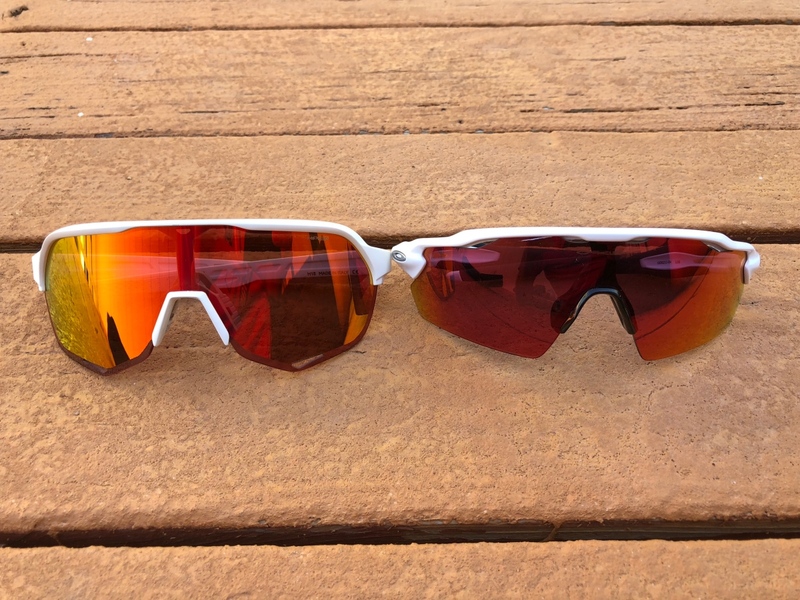 The S2 is almost exactly as wide as Oakley’s Radar Path lens, but quite a bit taller. The S2 is my first experience with 100% glasses. Online they looked appealing and in person the quality is high. The nosepiece is the only form of adjustment on the S2s but thankfully they fit nicely right out of the box. Unlike some sunglass models that are intended for smaller or narrower faces, 100% makes no explicit claim about such a fit. They just happen to work well for me. While there are many glasses on the market for smaller faces they often get not only narrower but also reduce the overall height of the lens. This isn’t a concern for low-speed sports, but when cycling, it can lead to eye-watering experiences. Thankfully, the distance from the top of the nosepiece to the frame on the 100% S2s is quite high, increasing coverage as well as line of sight when riding in a low position. The HiPER Red Multilayer Mirror lens pops nicely against the Soft Tact Off White frame of the 100% S2. The HiPER lens of the 100% S2 has a mirrored finish and it works nicely in a wide variety of conditions. I’ve worn the S2s while riding road, gravel, and singletrack. 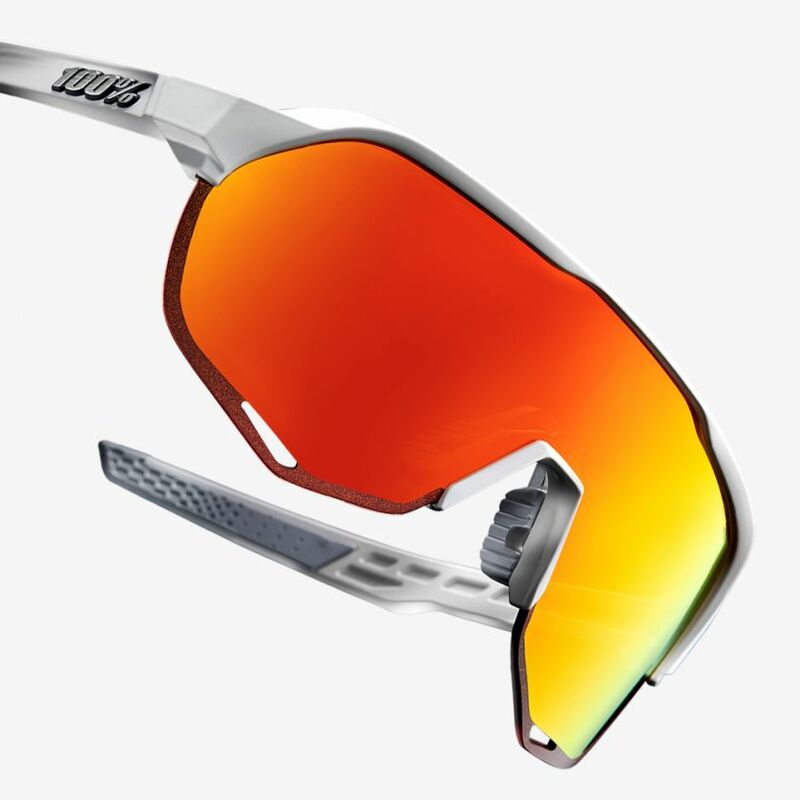 Its overall width is similar to Oakley’s Radar Path but the lens is approximately 7mm taller above the nosepiece. Below the nosepiece, the two are similar. That added height of the 100% S2 gets the top of the frame further from view, giving a more unimpeded light of sight. 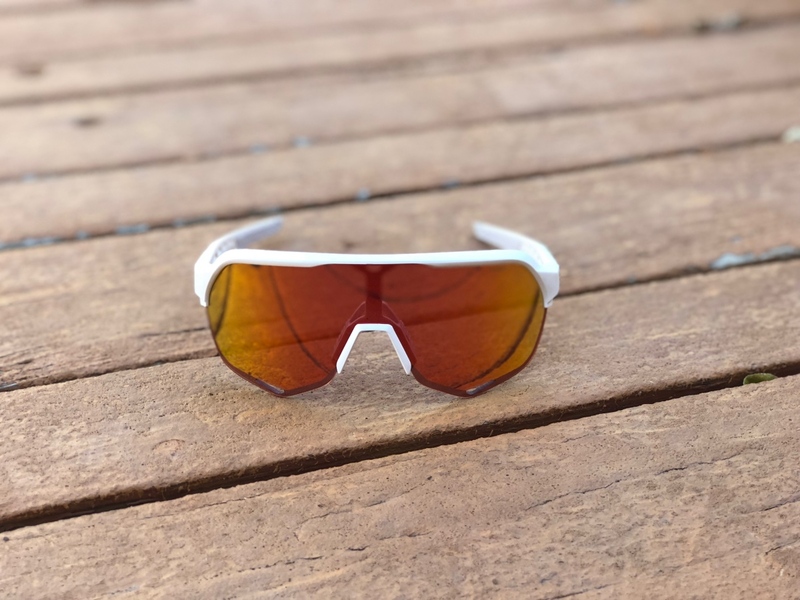 The $195 price tag puts the 100% S2 directly in competition with Oakley models and I have to say that the quality of the frame and the optics is on par with the longtime eyewear leader. If you’re a narrow-faced rider, whether a roadie or a mountain biker, the 100% S2 offers good looks and top-notch coverage. As such, it’s a real contender. For $195, you receive the glasses, a spare clear lens, a lens wipe/storage bag, an alternate fit nosepiece, and a carrying case for the lot. The 100% S2s fits nicely on narrower faces while still providing excellent coverage. The half-frame design is lightweight but still stays nicely in place thanks to rubberized temples. Despite 100%’s southern California roots, the S2’s are made in Italy.